Succulents are easy to care for and make a wonderful addition to home or office décor. 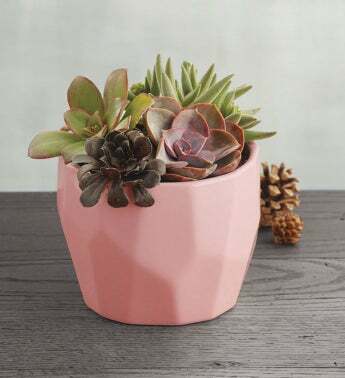 These assorted succulents come planted in a light pink geometric pot, complementing the unique look of these dry-weather plants. Care instructions are included to ensure your succulents thrive for years to come.